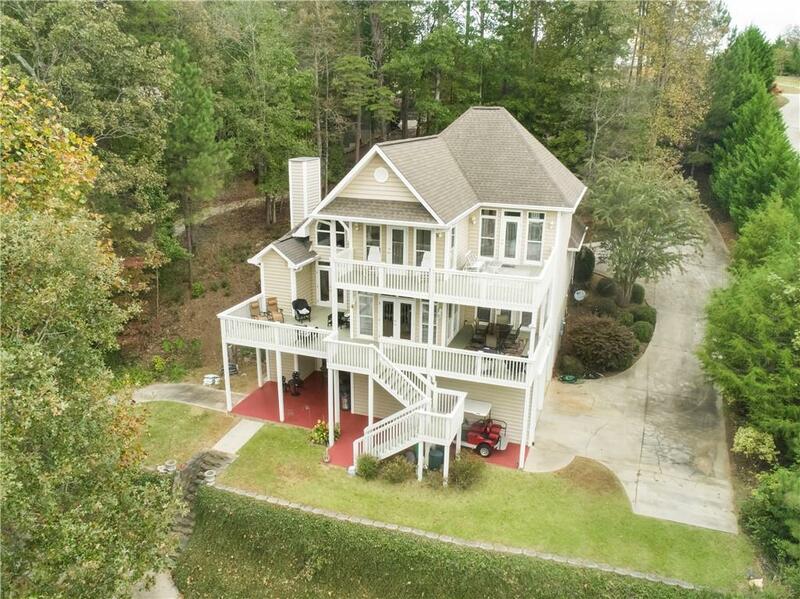 Lake Keowee cottage under 500k! This custom home was built for the lake life. Each bedroom suite has it's own private bathroom and access to the numerous decks...overlooking the backdrop of Lake Keowee. When you 1st enter the front door, you will notice the light just pours in through the massive windows and allows extensive views of the lake. The open floorplan is absolutely perfect for entertaining family and friends with no one feeling left out. Living area boasts a cozy fireplace w/ gas logs, vaulted ceilings, and hardwood floors through out. The spacious kitchen island is just the place to conversate while the chef is preparing the meal of the day. Retreat to the master suite (main level) after a long day on the lake. Jump into the LARGE walk-in shower with multiple spray heads or draw a bath and relax in the jetted tub. Guests can retire to the two bedroom suites on the upper level. The lower level offers a media/ rec room area with a full bath. Need an elevator....we have that covered. New elevator was installed in the past two years. The sizeable garage presents a great area for all of the water toys and storage. A wide cart path leads down to the covered dock, beach area, sundeck, and grill area. Landscape is low maintenance. HVAC units replaced within the last 4 years. All appliances remain in the sale of the home. Make your appointment today to experience the charming waterfront abode. Memories are waiting to be made!